Make sure you have enough food and water to sustain every member of your household for a minimum of 72 hours. Rations should be certified by the coast guard, and should have a 5 year shelf life. This is because it’s easy to forget about your emergency kit, and if you’re stocking canned food and bottled water, they must be changed out once per year to avoid spoilage and contamination that could make your family ill at a time when medical assistance is not available. Canned food is also heavy to carry, and high in sodium – this will make you thirsty and cause you to drink your water rations too quickly. Emergency Whistle – if you are trapped and need to attract rescue attention, you will need a whistle. Yelling will cause you to lose your voice in mere minutes while a whistle can give you a sustained call for help. Waste Bags – if there is no running water, your toilets will quickly stop working. While this is an unpleasant thought, waste bags are a necessary part of your kit! Plastic Sheeting and Duct Tape – although you have heard about using Plastic Sheeting and Duct Tape to create a safe room in your home, they are most likely to be used to temporarily repair damage like a hole in the roof, or patching a broken window. These items should be in your kit. We have created a comprehensive 72 hour-emergency safety kit that has all the tools necessary to deal with emergency situations. Your emergency kit needs to be portable, essentially a “Grab and Go” solution. The government has been educating citizens about preparedness for the past 5 years, specifically in September during National Preparedness Month. 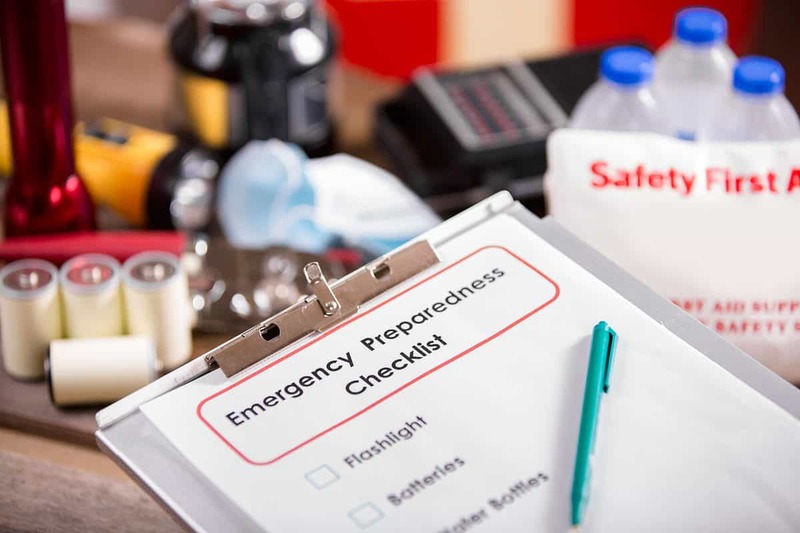 Having a comprehensive emergency kit is important, but in order to get the most effectiveness from your preparedness strategy you must have a Family Communication Plan. Often emergencies happen when you least expect them; you may be at work while your children are at school… it is important that the whole family has a plan to deal with emergencies, and a method for getting reunited should the family be separated. Building a plan is easy and takes just a few minutes. You can access a free online Family Communication Plan and print it out for your records here. This last step toward Emergency Preparedness is the essence of American Family Safety – Stay Informed! Keep up to date with the latest information about emergency preparedness. We will publish articles from experts within the safety industry and through our website you will have access to the Safety Library at American Family Safety which will give you access to additional content, articles, and tips.